Karen Harper caught up with one of the busiest “jack of all trades” and master of all, Gary Grossman, to talk about his new release, OLD EARTH. The man is amazingly successful in so many fields—journalist, newspaper columnist, television producer, playwright—and writer of thrillers. 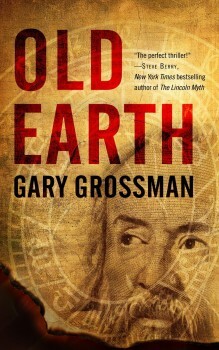 Readers who love Dan Brown will surely devour Gary’s newest book, OLD EARTH. Read on and hold on to your historical and thriller hats! What is OLD EARTH about? OLD EARTH is a geological thriller; a geological thriller that spans all time. It begins with a discovery made by an Italian mathematician in 1601 who’s testing his invention, the thermoscope. He determines that the best place to plot variations of temperatures in the middle of summer is in a cave. There, he finds a remarkable “truth” which in turn, points him to his life’s work—the stars. It also ultimately becomes, for the sake of the thriller, the reason he’s brought before the Inquisition. The scientist is Galileo. Flash forward to today and a group of paleontologists digging in Montana’s famed dinosaur alley. During their excavations they make the same discovery as Galileo—thousands of miles and centuries apart. From there, OLD EARTH intercuts back and forth from modern times to Galileo’s trial, to other points in history that relate to the revelation. We also meet members of a 400-year-old clandestine organization hell bent on guarding the secret. The thriller weaves history and intrigue, science and religion, and relatable characters with sprawling ideas. There’s even a nod to my political thrillers with a reference to one of the characters who first came to life in Executive Actions. The first thing that strikes me is the unique title, especially in a high-octane thriller of this magnitude. Without giving too much away, can you explain your choice of the title OLD EARTH? I actually came up with the title as soon as I started writing. I wanted to dig deep into the divide between evolutionists and the “Young Earthers” and steep the plot in the debate over deep time vs. recent time with engaging arguments, globe-trotting action and sudden surprises. OLD EARTH seemed to describe where I wanted to go, and the title stuck. One author/reviewer recommended an alternate, more action-oriented title, but I think the intrigue still comes out with OLD EARTH, reinforced with the fabulous cover image of Galileo. The Diversion Books designer, editorial and marketing staff did a great job creating the look. Three of the many dynamite endorsements for the novel compare OLD EARTH to Dan Brown’s themes and work. High praise! Can you explain what similar themes are in your work? High praise for sure. I appreciate the comparisons, but while readers may find some similarities, I will also point out the clear differences. Both books have a fundamental mystery rooted in the lives of dynamic Italian inventors, with touchstones of the Church and a secret society. However, the principal characters in OLD EARTH, Dr. Quinn McCauley and Dr. Katrina Alpert, are not seeking the answer to a Biblical question. Though they don’t know it, McCauley and Alpert are on a quest about the earth itself. They find themselves unwitting participants in a mystery beyond their experience; a secret so great that, if revealed, it could undermine religions and lead to social instability. By the way, I did have a little fun with Dan Brown in OLD EARTH. The mystery takes my characters to the Vatican’s Secret Archives. There, a priest explains how actually un-secretive the Secret Archives really are, referring to the inference in ANGELS AND DEMONS. With proper introduction, almost anyone can use the library. Moreover, he discusses the Latin epistemology of the word secret, which may surprise you. Still, it was a fun nod to a great thriller writer, especially since I believed people would draw some comparisons. I also mention a number of other great ITW authors in the story. Moreover, I must thank Steve Berry and CJ Lyons for their wonderful endorsements on the book jacket. How did you arrive at your unique premise for the novel? I was a rock hound as a kid in Hudson, New York. The area’s limestone deposits, with its remarkable fossils for the taking, chronicle a mighty geological record. Let’s just say I was busy with my hammer and chisel. Additionally, I was fascinated with astronomy and world history. (I credit the “All About…” and “Landmark” books for nurturing that early interest.) So in some manner, OLD EARTH has been knocking around in my mind for decades. In addition, at night before falling asleep, I used to listen to the world through my shortwave radio, tuning in stations from England, Russia, France, and Vatican City—all locations in my thriller. However…and a huge however, I originally started OLD EARTH with scenes at the dinosaur dig in Montana’s Makoshika State Park. The characters quickly made a startling discovery, but I stopped. It wasn’t working for me. I realized I was missing the element I most enjoy putting into my stories—historical underpinning. So far, there was no history in a book that was out to explore all of history. Totally on a whim I researched the life of Galileo. Little did I know that many years before he studied the stars he invented the thermometer! That nugget led me to another. Galileo had explored a cave at least once. 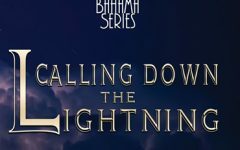 I combined the elements, built out a first chapter and created the historical footing I needed to walk, then race through the rest of the plot. Your author bio shows your diverse background as journalist, TV producer (multiple Emmys! ), reporter and playwright—now multi-published thriller writer. Do you have a favorite pursuit? Is it possible to balance several of these career paths at once? Does OLD EARTH use your background from any of your careers? It all interconnects: TV producing, journalism, thriller writing. I’ve produced hundreds of documentaries and worked as a journalist in print, local TV, and as a producer of an NBC News series. The cross-overs are everywhere. I profiled masters of fantasy for SyFy Channel audiences, military leaders for Discovery Military, earth history for National Geographic Channel, and Russian history for A&E. There are elements from so many of my television shows in my thrillers. Readers of OLD EARTH will find a key reference to a heralded British officer named Jasper Maskelyne I profiled in “The War Illusionist” for History Channel. I don’t want to give you any more. That’s enough of a spoiler alert as it is. However, it’s a perfect example of how I bring the career paths in line with one another. I will share one quick and true story from my TV experience that that worked its way into OLD EARTH. While expanding on the power and influence of secret societies, a character recalls her university thesis that delved into 21st Century cults and organizations. She indicates that in defending her thesis, a teacher noted that he had never heard of half of the secret societies. “That’s why they’re called secret!” she explained. I wrote the scene verbatim from an actual conversation I had with a network executive. It was real and ridiculous. (No names or channels needed.) I figured it would come in handy someday. You’ll read it in OLD EARTH. Balancing my careers isn’t hard because they constantly overlap. My first novels, Executive Actions, Executive Treason, and Executive Command are political thrillers that jump out of the headlines, delve deep into the range of possibilities and think the unthinkable. All spring from other work I’ve done in the media with echoes back to my parents and their work in politics, government, and law enforcement. Would you share with readers and other authors how you “build a novel?” What comes first for you? How much do you rewrite? Do you need blocks of time or are you flexible? Great question. I have a very focused approach. First, I come up with an idea born in fundamental truth. Then I explore the possibilities that can flow from it. For OLD EARTH, I began with the dinosaur dig believing that was enough. But as I mentioned earlier, it wasn’t and the plot felt like it would stagnant unless I gave it more gravitas. That’s when Galileo came to me, and from that, all the other twists and turns. Of course, there’s the ongoing research phase. I research deeply, interview personally, print out, highlight and file material. Then I flesh out an outline (which I will constantly revise as the characters begin to find their voices). Once I feel I’ve got a strong enough handle on the material, I start writing. I generally work on a laptop. I can write anywhere and at any time. (My newspaper columnist and reporter experience taught me that.) My writing output is generally three pages a day; sometimes more. Three pages each session add up to 90 a month, 180 in two months, and 270 in three. Again, I’ll research and interview through the process, which often slows the output down, but it helps me expand on the content. By the sixth month, I tend have the basic story down. Next, I spend an equal amount of time rewriting. The final steps require other eyes. I give my manuscript to at least three friends for initial copyediting. I get their revisions and then send the book to my editor. In the case of OLD EARTH it was Randall Klein at Diversion Books. It’s collaborative and exciting. We discuss cuts and what needs to be added, plot beats, and things that should be revealed differently. After this round of changes, the revised manuscript goes back in for my publisher’s proofreading and copyediting, followed by yet another round of fixes. All in all, it’s about an 18 month process. But it doesn’t end there. I’m big on marketing and promotion. So while I want to begin another thriller, I have to support the latest work with a blog tour, radio, television and print interviews, and continual social media outreach. I believe in an old adage that goes something like this: “Without publicity something terrible happens. Nothing.” Credit to PT Barnum for the quote. I paraphrase it today and say, “Without marketing, publicity and social media, something terrible happens. Nothing.” As advice goes, I think it’s as good as anything I can say about writing. The author’s job is not over when the book is published. Any advice on balancing “real life” with the demands of writing? I wish I were better at taking time off. I’m not. I can write seven days a week. Give me a plane trip and I’ll write most of the time in the air. I think about my next scenes in detail before I go to sleep and I keep a note pad and a flashlight pen next to the bed for anything that comes to me during the night. A sidebar: I remember reading an article in “My Weekly Reader,” the elementary school newspaper that we subscribed to as kids. It predicted that by the mid-1980s or early 1990s we’d have the four day workweek, more leisure time, and we’d all be scurrying about in our personal helicopters. No, no, and no. Didn’t happen. Not going to happen. We’re leashed to our work and interconnected with our devices. A recent trend study noted that on average, we’ll look at our cell phones upwards of 150 times per day, reading emails, texts, social media and phone messages. What does that mean? No four day work week, less leisure time, and forget the helicopter! But, I’m not complaining. I create content in multiple mediums. I love what I do and recommend if you can find what you love, then do it. Just turn the computer off more often than I do! I’m working on that myself. Can you share anything about your next novel/thriller project? I’m returning to the Executive series for a fourth installment. The extended story line begun in Executive Actions, continued in Executive Treason, and came to a conclusion in Executive Command. I’ve developed a new plot for the next book with my principal characters returning and a whole new arc that is news reactive. Once this book is done, I’d like to see where paleontologist Quinn McCauley can take me after OLD EARTH. I found him fascinating and I’m sure he’d enjoy a new adventure. Wherever he goes, I’ll surely keep ITW members and The Big Thrill readers up to date. To The Big Thrill, thank you for inviting me to participate in this interview. I look forward to seeing friends and fans at the upcoming ThrillerFest. In the meantime, I hope I’ve engaged you and you’ll check out OLD EARTH. It’s published by Diversion Books and available in print, eBook and Audible editions. Please let me know what you think. You can reach me via my website and follow me on Twitter @garygrosman1. 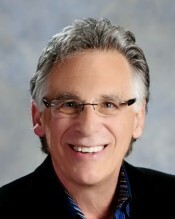 in Boston, and has produced television series for NBC News, CNN, NBC, ABC, CBS, FOX and 40 cable networks. He is a multiple Emmy Award winning producer, served as chair of the Government Affairs Committee for the Caucus for Television, Producers, Writers and Directors, and is a member of the International Thriller Writers Association. Grossman has taught at Emerson College, Boston University, USC, and Loyola Marymount University, and is a contributing editor to Media Ethics Magazine.